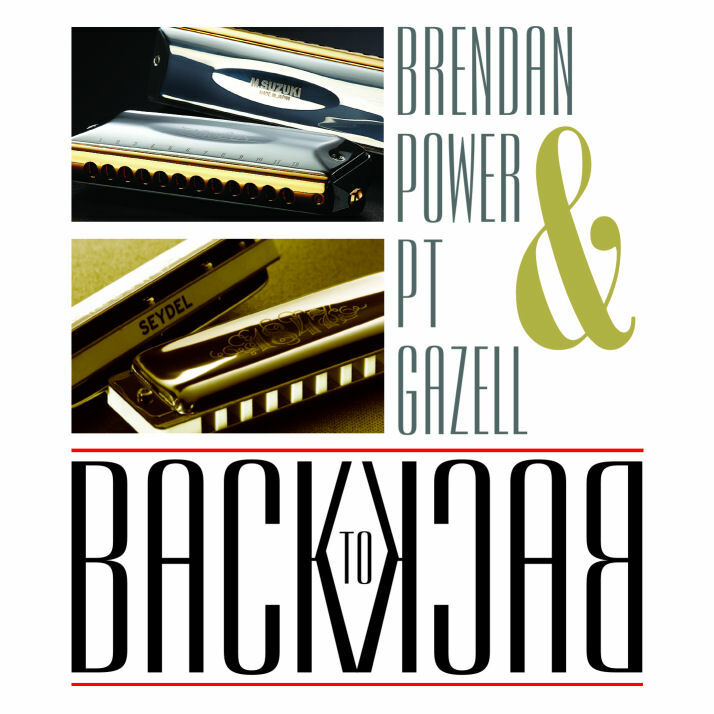 This is a collaboration album with the respected Nashville diatonic harmonica player PT Gazell. We had been aware of each other for a while, as we have something unusual in common in the harmonica world: we both play half-valved harps. Half-valving means that only half the reeds in a harmonica are valve-affected. On a standard diatonic harmonica there are no valves, and on a chromatic harmonica ALL reeds are valved. Half-valving gives the best of both worlds: the earthy interactive-reed-bending of the diatonic on the high-pitched notes in each hole, plus extra valved bending expression on the low-pitched notes. It gives a unique and powerful new way for harmonica players to achieve chromaticism whilst retaining a pleasing earthy quality to the instrument. PT and I also share a passion for swing jazz. We met in person at the SPAH Harmonica Festival in Milwaukee in 2007, and had such a blast jamming that we decided to record a swing album together. Since we live on opposite sides of the Atlantic, that required some creative procedures! The basic tracks were recorded in Nashville in January 2008, and in the ensuing months PT and I communicated via Skype and sent tracks back and forth over the internet. The final mixing session was done via a Skype link from Nashville to my kitchen in Canterbury UK. It was so fast and immediate, I felt as if I was in the studio with PT and Dave Sinko, our brilliant engineer. The album was released exactly a year after it was conceived: at the SPAH Festival 2008 in St. Louis. PT played mostly custom Seydel diatonic harmonicas, plus a couple of tracks with Filisko customs, and Brendan used customized Suzuki SCX-56 chromatic harmonicas in PowerChromatic Tuning.